"Nestled in the vicinity of the clear and still Bal Samand Lake, the WelcomHeritage Bal Samand Lake Palace is built in red sandstone. 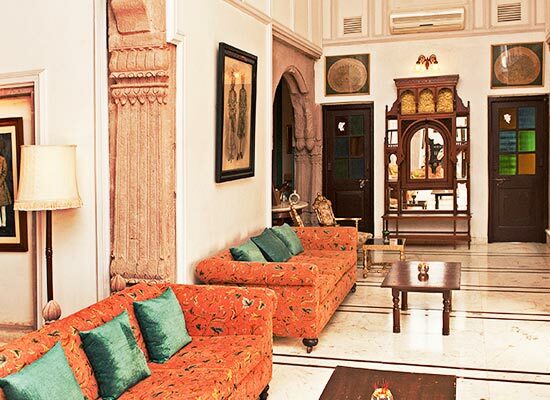 Portraying a typical ornate Rajput architectural style, the palace was once a summer residence of Maharajas of Jodhpur. The sprawling orchards of pomegranate and lime and landscaped gardens interwoven by elegant waterways give the palace a unique charm. 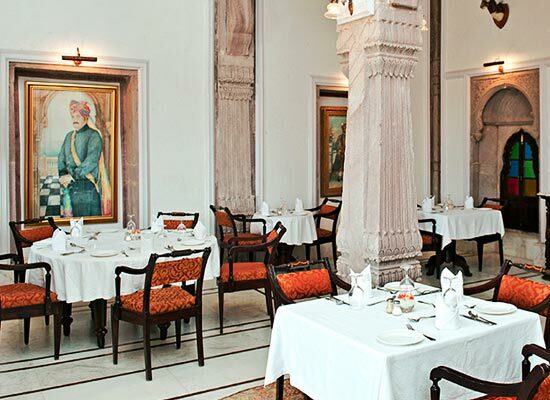 A world class Heritage Hotel fully equipped with state of the art amenities offer a comfortable stay of a lifetime. 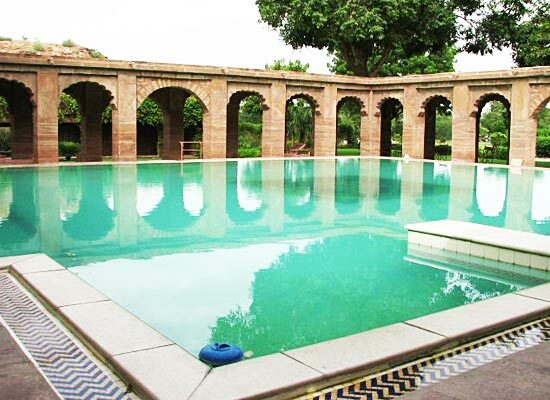 Balsamand Lake Palace heritage hotel in Jodhpur is a very famous heritage mansion in North India. Balsamand Lake Palace exemplifies perfect traditional Rajputana architecture. 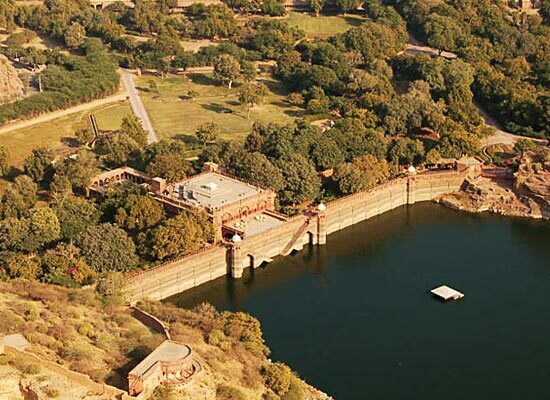 The Balsamand Lake Palace heritage hotel, built out of special Jodhpur red sandstone, was originally conceived as the summer resort of the Jodhpur royalty. The Balsamand Lake is an artificial reservoir, built in the 13th century, which provided drinking water to the city. Balsamand Lake Palace is surrounded by lush green and manicured gardens that add to the hotel's aesthetic attractiveness. The Balsamand Lake Palace heritage hotel offers 01 Maharani suite, 09 regal suites and 26 garden rooms in the Balsamand Garden Retreat. 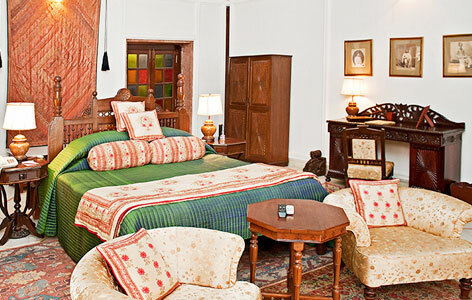 The Balsamand Lake Palace is decorated in a royal fashion that pampers your imagination and concept of a royal home. Dining at the WelcomHeritage Bal Samand Lake is a gastronomical experience. Treat your taste buds by choosing one or all of the five dining options. Savor delectable dishes at a Garden Restaurant. Satisfy the foodie in you by trying mouth-watering Bar-be-que at the Kebab Corner. Head towards the Bar Lounge to choose from a fine collection of the beverages. 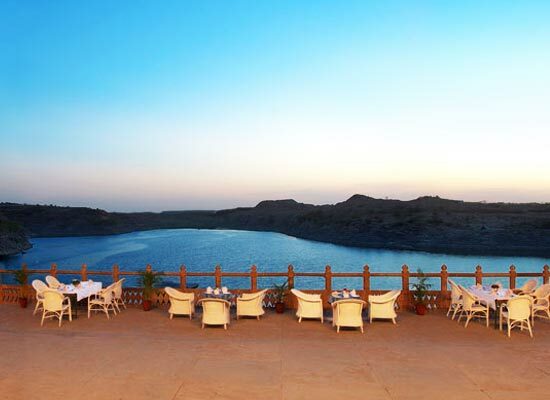 Marvel at the scenic views of Lake while indulging into a culinary experience at the Lake View Restaurant. Theme Dinner on reque st are also available for those who wish for an extra bit of pampering. Jodhpur, the beautiful tourists destination in Western India is also referred as the Blue City, due to the indigo tinge of the whitewashed houses around the Mehrangarh Fort. 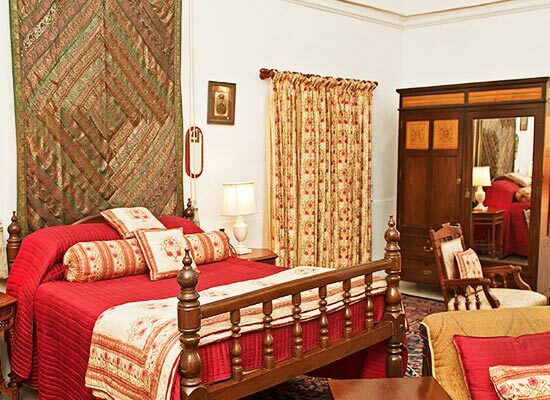 The interiors of almost all the heritage houses in this place are complemented with antique and traditional furniture and medieval Rajasthani style tapestries and floor coverings.